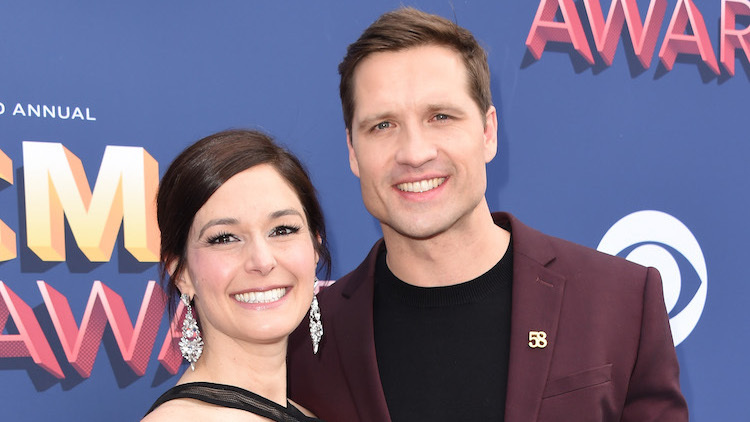 Walker Hayes and his wife, Laney Beville, are mourning the death of their seventh child. The country star revealed the heartbreaking news on Instagram on Thursday, June 7. "It is with great sadness that Laney and I share with you the news that our sweet Oakleigh Klover Hayes was born this morning at the hospital and now is safely in heaven," Walker shared with his followers. "Thank you for honoring our privacy as we grieve." The 38-year-old and his wife have six other children — three boys and three girls — ranging in age from 2-11. "Walker has canceled his immediate upcoming appearances to be home with Beville and their children. We ask that everyone respectfully give them their privacy in this difficult time," the singer's statement added. Commenters quickly shared their condolences. "All our hearts to all of yours. There is nothing I can even say. We love y'all so much. So freaking much," one person commented. Another added, "So sorry for your loss. I can't imagine the pain you and your wife and family are feeling. Prayers and condolences. She was just too good for this world." A third simply wrote, "Thoughts and prayers for your family." The singer told Taste of Country in November that he and Laney were expecting baby No. 7. "We're so excited that we're pregnant again," he said. "Just living the dream right now, we're on cloud nine, me and my family. We got good news in the house." In May, he told the publication that Laney was due June 8 and planned to give birth at home. Our thoughts go out to Walker and his family during this painful time.